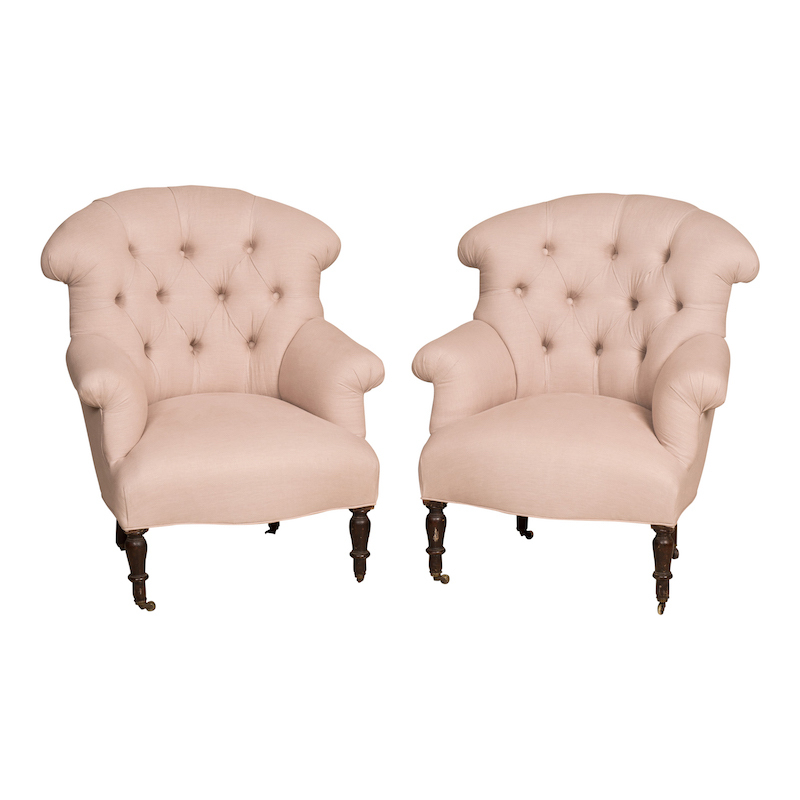 Antique napoleon chairs. 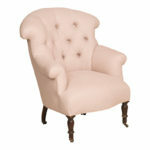 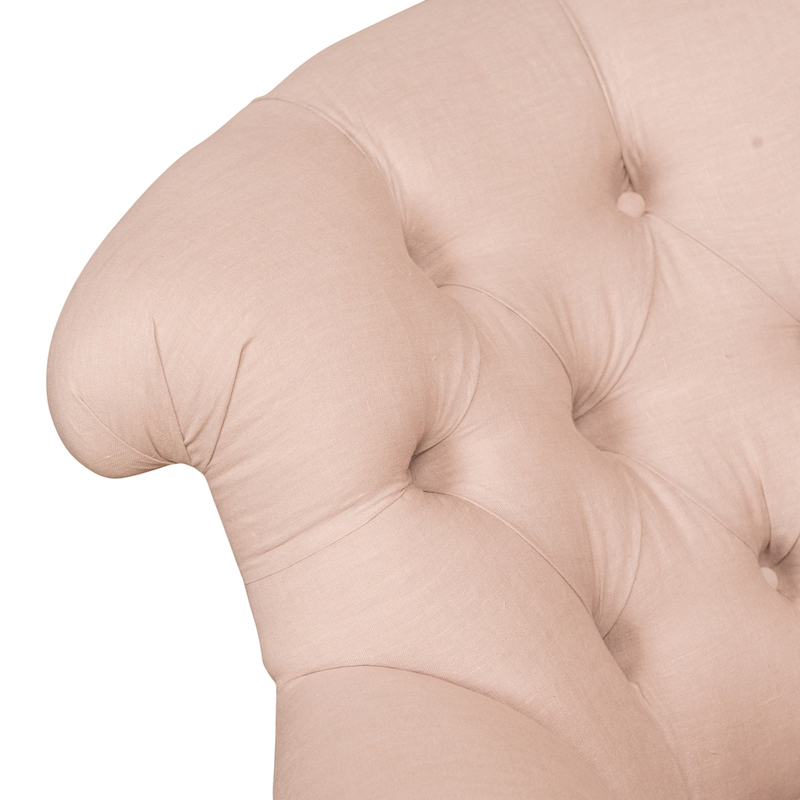 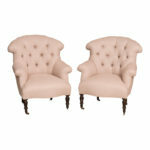 Upholstered in blush pink linen with button-tufted back. 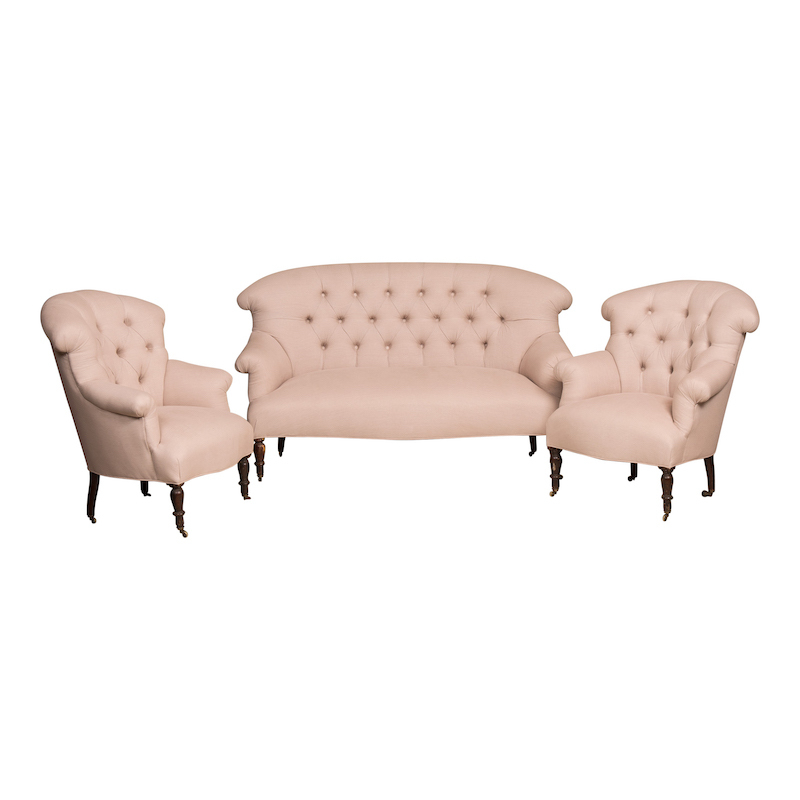 Matching set to the Arden Settee.